All the collected personal information will be used to help make your visit to our website as productive and enjoyable as possible. We take serious the need to ensure the confidentiality of our users data, therefore personal information regarding to members, subscribers, clients or website visitors is treated in accordance with the Data Protection Act, 26 October 1998 (Law 67/98). Collected personal information may include your name, email, phone number and/or mobile phone, address, date of birth and/or others data. By using our website you’re giving us your acceptance of these terms. Because we reserve the right to change them without notice, it is recommended that you check this page regularly so you can keep up to date. Analytical cookies – to gather anonymous statistical information that helps us understand how users browse our website. Functionality cookies – to store information provided by the user (e.g. when entering data in forms). Advertising cookies – to measure the effectiveness of our advertising and help us make decisions on how to optimize it accordingly to users’ preferences and behaviors. Users have the option not to allow cookies, but by doing it browsing experience can be affected negatively. 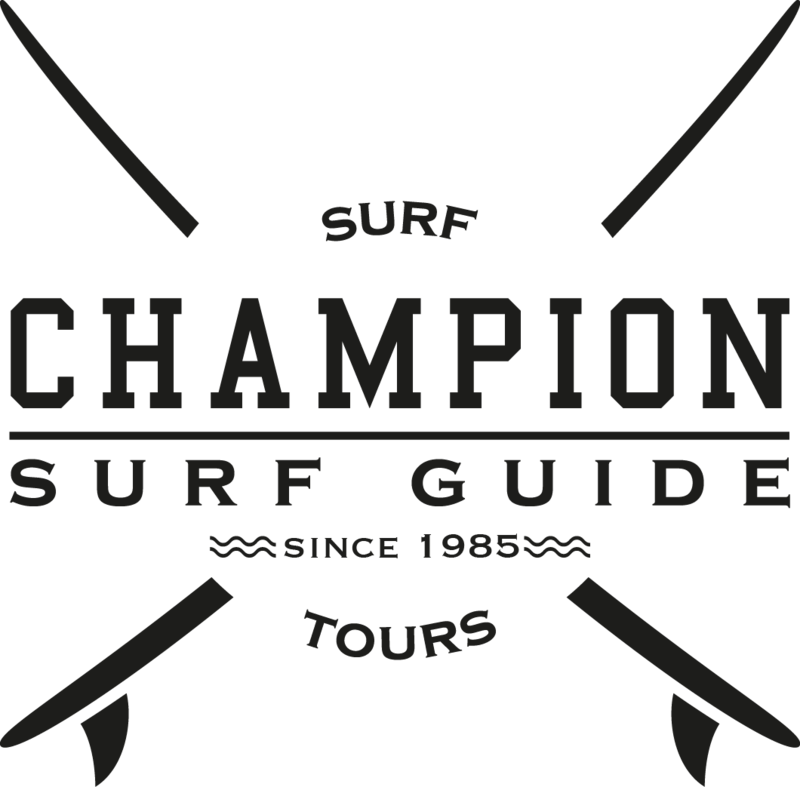 © 2018 Champion Surf Guide. All Rights Reserved.